Below you can find some photos of Malaga City. If you are interested in further photos of Malaga City, Costa del Sol and the rest of Malaga Province take a look at the end of this site. Welcome to Malaga, a city with many faces. The westside of Malaga completely composed by office buildings and flats. 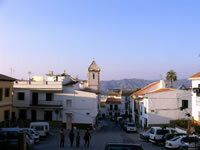 The historical centre with its narrow streets, typical Spanish architecture and beautiful shopping street. On the east side of Malaga the richer neighbourhoods are to be found and also the more typical Spanish architecture. 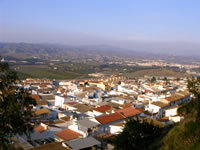 The Mountains surrounding Malaga are built over with large villas and the city's castle Gibralfaro. 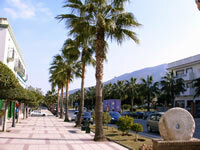 Malaga has a lot of extensive beaches such as Los Alamos, Pedregalejo and Malagueta. Being located in Andalucia, Malaga still maintains bullfights wich are held almost monthly. Malaga is not known for its cultural heritage but more for the relaxing atmosphere. But if you do want to add some culture to your visit to Malaga luckily there are opportunities. 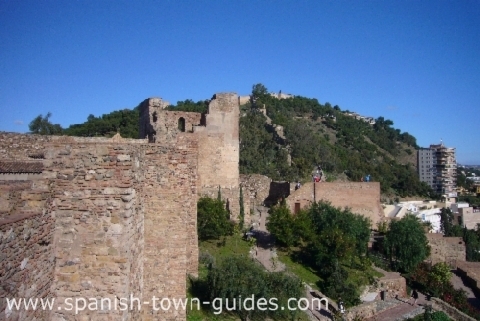 To begin with, you have the city's castle named Gibralfaro. You can reach the top of the mountain either by bus or walking and the entrance fee is very low (tip: the Malaga tourist bus is very expensive and doesn't really take you anywhere a regular bus, which is much cheaper, does). Within the upper part of the Gibralfaro things are left the same way as they used to be for the past hundred years. There's an overview of which vegetations are there to be found. 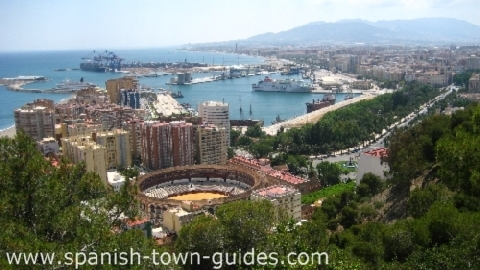 From the towers you have amazing views over Malaga, the centre, the beaches and other neighbourhoods. 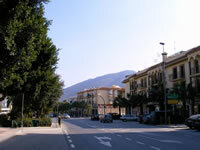 The lower part of the Gibralfaro is to be accesed from the centre, it is not possible to walk from the upper part strait into the lower part. 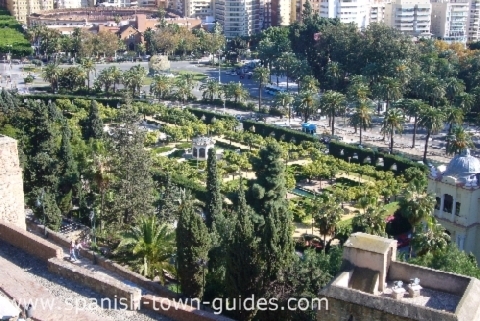 Here are the gardens of the Gibralfaro. It is a mixture of morish and roman styles that give the garden a special atmosphere and beautiful charisma. The lower part of the castle is much more beautiful than the upper part and also has nice views over the city. But the upper part is sincerely worth a visit if only for its views. 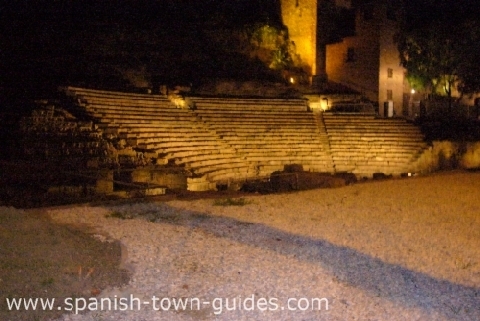 Next to the lower part of the Gibralfaro an authentic Roman theatre is being restored. Although it is being restored it is still interesting to travel back in time and think about how people used to enjoy performances here hundreds of years ago. At night this romantic feeling is most present when the theatre is well lighted. Paseo del Parque is a beautiful area to relax. With big monumental buildings, wide lanes to walk around and an extensive beautiful recently renovated park. It's the perfect environment to chill out. 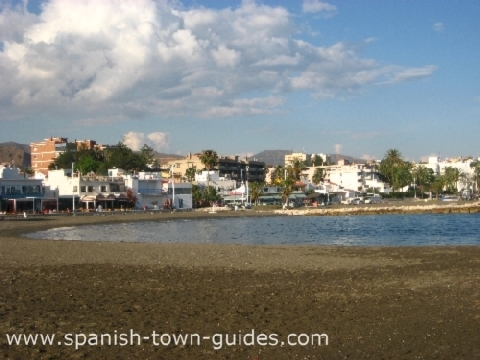 Fifteen minutes away from the centre are the beaches of Pedregalejo. This is a completely different atmosphere than Malagueta or Los Alamos. Here you will find the typical Spanish houses right at the beach, no traffic a lot of bars and beaches shaped in small bays. 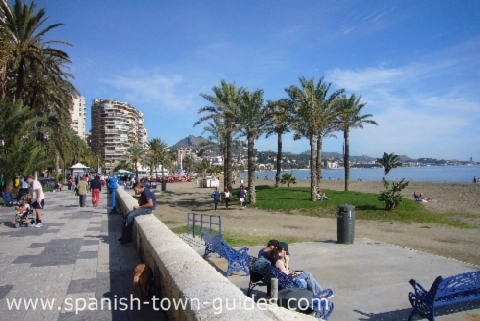 On these beaches are more Spanish people or at least inhabitants of Malaga than for example on Malagueta. It is most definetely worth a visit because this is the perfect example of the relaxed atmosphere that Malaga is known for. 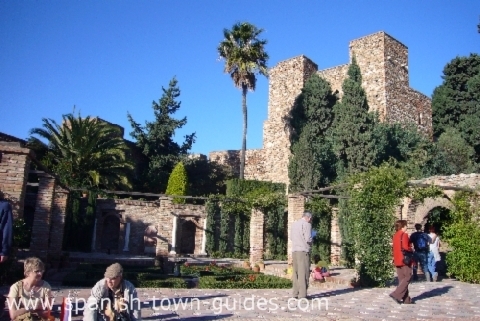 Below you can find photos of different areas of Malaga as well as Malaga City. By clicking in each area you can find further photos.